There are 269 million registered vehicles in the U.S. and many of them are commercial vehicles. What kind of insurance do you need? How much coverage should I get? There are more than 6 million auto accidents each year and the wrong insurance decision costs your business coverage, money, and potentially much more if there is an accident. If you’re in the market for commercial insurance, then make sure you get a policy that’s best for you and not the insurance company. Unscrupulous companies are happy to provide you with an expensive policy for your single truck or fleet that doesn’t cover you when it counts. Get coverage and know what to do if there’s an accident. Here are 5 important facts you need to know about commercial auto insurance. If you have one truck, then you might think you can get away with regular auto insurance. That’s a dangerous mindset. Commercial auto insurance protects the business as much as the driver. If you have someone driving the vehicle that isn’t covered on the standard policy, then standard insurance may not cover an accident. Maybe you were sick but needed to get a load in on time so you asked a friend to drive your truck. Maybe your son or daughter drove to the truck and got into an accident. Your protection is what’s most important and commercial auto insurance may be more complicated and cost more, but it’s worth it for small businesses and independent operators. When you want to buy a new truck or car for your business, do you just go to the dealer and buy whatever they want you to buy? Of course not. You research everything from car model to gas mileage and then find what you want at the dealer. You need to do the same process for commercial driving insurance. You need to examine the state requirements for commercial insurance and make sure your policy covers everything. Do you need physical damage, cargo coverage and does the company specialize in your type of insurance? If you get into an accident, then you want a company that understands the intricate nature of commercial auto insurance. There are many items to think about when getting insurance including interstate trucking, the weight of the truck, what type of cargo is transported and more. The commercial auto insurance cost could be higher if you transport dangerous materials or if you have younger more inexperienced drivers. If you don’t do research, then you’ll end up in hot water when a claim is filed. Many people complain about legalese and how it’s hard to decipher. It can be the same way with insurance companies. They’ll use industry jargon and hard to understand the language to make you believe you’re getting more than you are. When they do this, they hide the extent of coverage and conditions. You don’t realize this until you file a claim and they choose not to cover it because of the fine print. They’ll offer you a much lower price than competitors because coverage issues are veiled in the policy jargon. If you want to combat this, then don’t be afraid to examine the company’s experience and payment of claims. If you see many complaints online, then choose someone else. If the reviews are mostly negative, then it speaks about the company’s policies and how they treat their customers. Don’t let flowery language and cheap prices sway you from a more reputable company. If you need additional coverage or a different type of insurance, get it. Thousands of lives are lost each year in accidents and many of those crashes involve commercial vehicles. Get covered. Experience isn’t the only factor when choosing a driver. They’re driving your truck, not some rental car. Their driving record both professionally and personally tells you a lot about them and their chances of having a claim. When hiring drivers, screen them and get their motor vehicle record. What does this have to do with insurance? Drivers with bad records are nightmares for insurance companies. They’re a high risk for claims and no one wants that. Hire drivers with the best records and lower your risk and potentially insurance cost. Don’t forget the drug test for all new drivers. Once hired, train them in the proper procedure for an accident. You can even include a checklist of actions in the glove compartment. The checklist can include not only action but phone numbers, areas for information and more. You need to make the process as easy and painless for the driver. They could be in shock or scared, but they still need to get all the information necessary. A driver who doesn’t get this information makes the claim process more difficult for everyone. The best commercial auto insurance companies fight for their clients. You can make their job easier by recording evidence during an auto collision. The data and recording information can make or break a claim. Dash cams with time stamps and GPS software can give everyone an idea of what happened and when. If you have these items in your trucks, then you might get a break on your price too. There are millions of commercial vehicles on the road, make sure yours is insured properly. Once an accident occurs, the driver should take pictures of the damage and the accident scene. The more data available, the better chance of defending your claim. 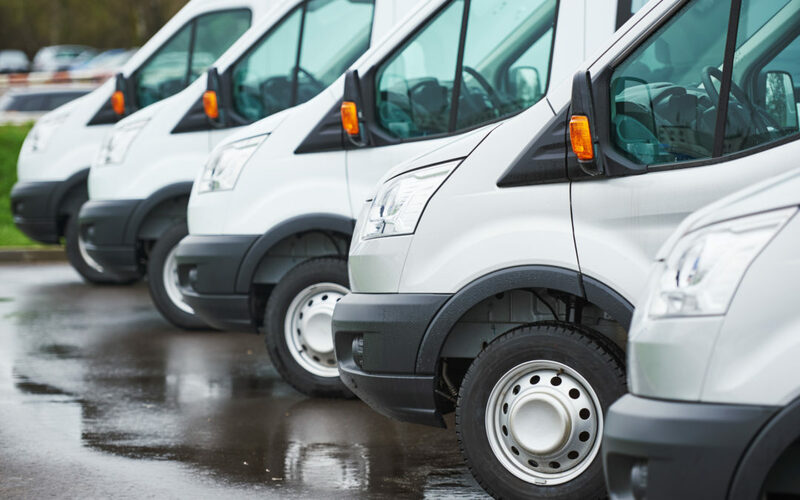 It’s important to understand the ins and outs of commercial vehicle insurance. You need to not only know what insurance to get and how to choose a company but also training to drivers and getting the most out of your policy. The more you know about commercial auto insurance, the better off you are in case something happens. If you’re interested in learning more about it, then feel free to explore our website.